Not a single day passes when someone or the other asks me about my equipment and suggestions for equipment buying. Though equipment is a means to an end, and one should strive to extract the maximum out of their present equipment, Wildlife photography and filming is really equipment intensive. To save my time responding to individual queries, I have decided to write down in detail my views about the equipment required for filming and photographing wildlife. For filming wildlife, one needs a good fluid head. Filming is all about telling a story and when you pan ie. move your camera from one side to the other to get a footage of that nice rolling hills or to capture the movement of a tiger walking or a deer running, you realise that your existing tripod head doesn’t do a good job as you get lot of jittery footage. Your footage seems to jump. Then you realise that you need something called a fluid head which will allow you to do smooth movements with your camera both in the horizontal as well as the vertical axis. The fluid heads actually have a viscous fluid between the several groups of mechanical components inside the fluid head so as to offer smooth jerk free movement of your camera rig. It is said that Chadwell O’ Connor used a printers grease on his fluid head and then later on used silicone based fluids. The low end fluid heads are friction based and are often mistaken as fluid heads by the customers. Unscrupulous manufacturers who provide very less data about their so called fluid heads also contribute to this belief of photographers that they possess fluid heads. After a massive secondary research, examining opinions of various experts and looking at the various fluid heads and my future use, I decided on buying the Oconnor Ultimate 1030 HDs fluid head. The Oconnor company has a bit of history. This company was started by O Connor who was a prolific inventer. He had designed a fluid head for his own filming. One day Walt Disney saw O connor filming and had a look at this fluid head. He immediately asked O connor to make 10 such fluid heads for use in the Disney films. That’s how the O connor company started. The Ultimate 1030 HDs fluid head is a comparatively smaller head as far as Hollywood standards are concerned. Its load bearing capacity is 18.6 kgs. It has the O Connors stepless pan and tilt fluid drag control features that are used in the 2575 head which is the Hollywood standard for shooting 35mm feature films. The O Connor 1030 HDs fluid head can take a load of 18.6 kgs at a height of 6 inches. If the centre of gravity of the camera and lens etc are raised to 8 inches then the load bearing capacity reduces to 15kgs. And if one can lower the centre of gravity of your camera/lens and accessories combination to 4 inches, then the load bearing capacity increases to 24 kgs. People moving up from a still photography background to filming struggle with the concept of counterbalance till they are explained in the field. The unique feature of the O connor 1030 HDs is its stepless counterbalance. It can counterbalance from any weight from a theoretical zero kgs upwards to 18.6 kgs at 6 inches. This opens up a vast avenue for film makers especially the ones using DSLR based rigs. It also enables you to dial in the correct amount of counterbalance while using different lenses. For example when I use my Canon EF 400mm f2.8 L IS USM lens which weighs 5.3 kgs along with a Canon EF 2x II TC and the Canon EOS 1D Mark IV Camera, the overall weight comes to around 7 kgs plus. When I replace the 400m f2.8 L IS lens with the EF 70-200 f2.8 L IS II USM lens, the weight drop is significant. Only an Oconnor can take up such extreme drops. Doing the counter balance of the 1030 HDs fluid head is a tough job. I can assure you that the first time you are going to do it, your fingers will hurt. Once you have done it, then it works like a charm. The pan and tilt knobs are conveniently and intuitively placed. Full marks to O connor for that. The Oconnor Ultimate 1030 HDs fluid head comes with a 100mm bowl as standard. One can change it to 150mm bowl or a Michele mount as well. I have it with a 100mm bowl and use it with my Sachtler CF 100ENG HD 2 CF tripod. The fluid head came with the mini-euro platform. If you are going to use longer video cameras, then you need to order the long plates. Given that I won’t be able to find the screwdriver in the field to loosen the plate and fit it in another lens, I would be ordering atleast one more mini-euro plate for attaching it to my 70-200 f2.8 L IS II USM lens. I am not a gadget freak. However, I can say that you will love this fluid head. This fluid head weighs 3.7kgs. Due to its compact construction (height 6.6 inches, width 7.6 inches and depth 4.6 inches) feels very heavy. You can start lifting this fluid head with one hand like a dumb bell. 😀 I am sure others can be more creative. And remember not to drop it. This Oconnor Ultimate 1030 HDs fluid head costs a bomb. In USA it costs about 6000 USD and in India it is closer to 4 lakhs plus of rupees. People are known to use their O connor heads for more than 15-20 years. It goes on and on. Only the aluminium roseates where the handle fits can get worn out. I have been using this in various wilderness areas as well as in corporate shoots and it has withstood all the torture. I see no reason why this fluid head will not be by my side when I move into my sunset years. If you have any question about OConnor fluid heads, then you can ask in the comments section below. 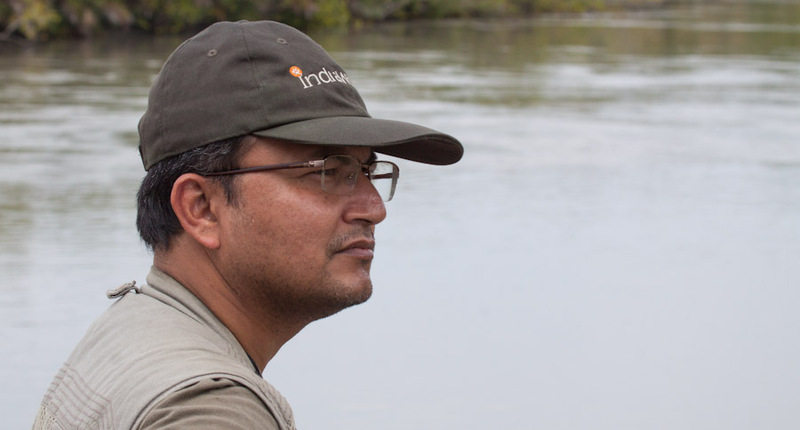 Burbank, January 2012 � Indian cinematographer Sabyasachi Patra is a passionate animal rights and environmental activist. He campaigns, in particular, for the rescue of tigers and the conservation of their habitat. 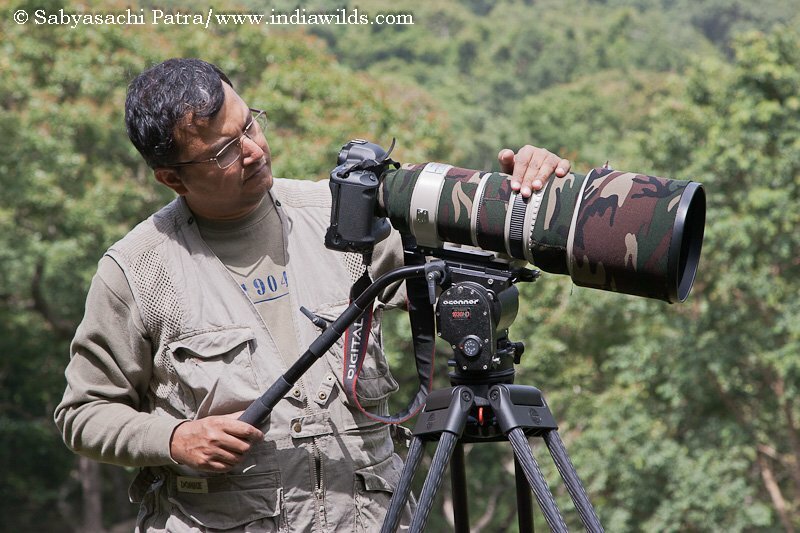 For this reason he founded the website India Wilds (www.indiawilds.com) where, as a nature and wilderness photographer, he contributes to the protection of this threatened species by providing spectacular pictures and information. A blog and a member forum supplement the website and offer a platform on which more than 1,800 people discuss environmental protection in India. In addition, Sabyasachi films adventurous documentaries. During the making of his newest film “A Call in the Rainforest”, he worked with the 1030HDs fluid head from OConnor, a Vitec Group brand, for the first time. 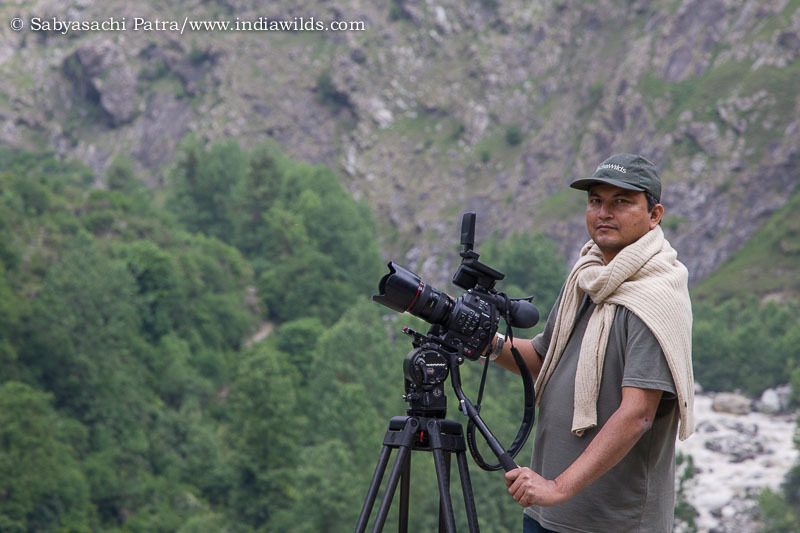 Equipped with a Canon EOS 1D Mark IV, the OConnor 1030HDs fluid head, and large telephoto lenses, he set off for the Anamalai Tiger reservation in the Western Ghats to shoot his film. Deep in the rainforest where the endangered Macaca Silenus tigers live, Sabyasachi documents the reasons for their threatened existence: in particular the fast growth of the nearby city of Valparai. Tea plantations, increasing tourism, and street construction are destroying the rain forest and, consequently, the natural habitat of the tigers. Filming was done in intense sunlight as well as during heavy rainfall. 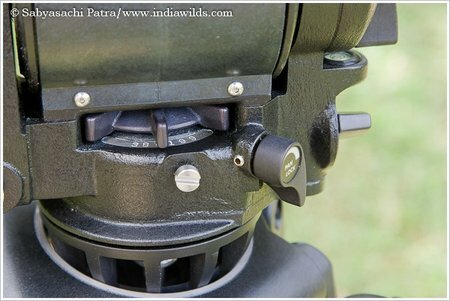 “Despite the frequent fog and light drizzle in the rain forest, the fluid head worked flawlessly in every situation,” says Sabyasachi. “Filming in the wilderness also means struggling on difficult-to-access terrain. That’s why I prefer light DSLR cameras to save space. 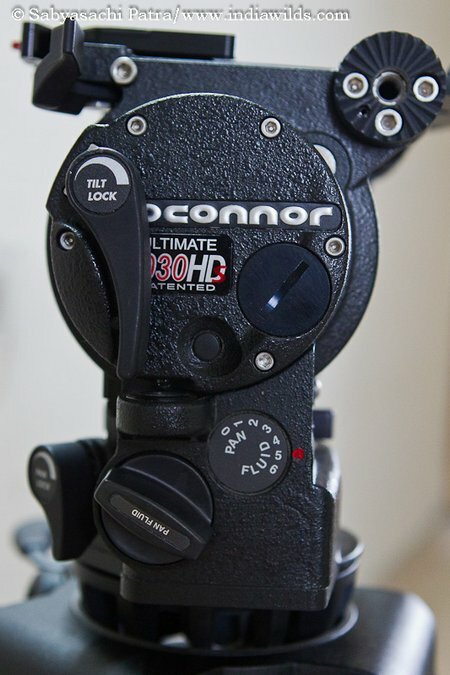 In contrast to many products the OConnor fluid head is perfectly suited for use with light camera set-ups. This makes it an ideal companion for me.” Featuring a counterbalance of 0 to 18.6 kg (0 to 41 lbs), the 1030 range of products offer maximum versatility for filming with a wide variety of lenses, cameras and accessories. The investment has paid off for Sabyasachi: “OConnor allows for the best shots at an optimal price/performance ratio,” says the cinematographer when summing up his first project with OConnor. Sabyasachi…thank you so much! Next year’s budget is scheduled for an O’Conner 1030 D.
I took your advice (and others) and purchased the Sachtler CF-100ENG HD 2 CF tripod legs you previously reviewed. Excellent! Currently, my ‘rig’ consists of the CF-100ENG Sticks, Sachtler FSB-8 Fluid Head and a Sony PMW-200. Obviously, my camera support is a bit of overkill for my current configuration, but it’s been my experience, having the heaviest and sturdiest tripod you can carry is the right way to go. I am happy that my review was of help to you. I completely agree with you about the one should buy once. The tripods and fluid heads will outlast our cameras. So the cost per year is much less and hence it is good value for money. Filming takes up so much of money for equipment purchases. So it is important that one needs to plan it well. Sabyasachi…luckily, I discovered the professional web forums which helped in my early learning curve. Then, a couple of wonderful professionals took pity on me, folks like you, that have kept me from making huge monetary mistakes. And, as you know, you can spend a lot of money going down the wrong Rabbit Hole in video. The good news? Your tripod and fluid head choice will outlast your cameras by decades.